At Celibre Medical Corporation, we have found that most patients who need Sculptra typically require 2 vials of reconstituted product to yield the results they are looking for. Remember, just like that grass seed, if you don’t put down enough, your lawn won’t be thick and lush. We have honed in on the quantity of Sculptra it takes to build the soft, gentle volume that is so unique to this product through our many years of experience injecting it. As with other dermal fillers, your appointment time may vary depending on the amount of filler that’s used, but as a rule, most treatments can take up to 30 minutes to complete. We will make sure that you’re skin is completely clean prior to injections, and we will use both ice and numbing cream prior to your treatment to help make you comfortable. You may have swelling, tenderness, redness and bruising at the injections sites, and it has been our experience that most Sculptra patients experience bruising that may take up to a week to resolve. We advise our patients to consider this when planning their treatments around life’s busy schedule. 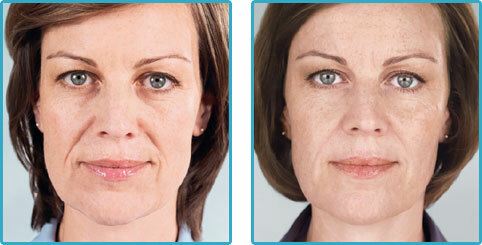 Another point to reiterate is that unlike the other fillers, you will not see the results of Sculptra immediately. But hang in there! It will slowly and gradually build over the next 6-12 months and you will fall in love with your natural looking results! Our skilled injectors are experts at using Sculptra. It’s an amazing product, but it’s not for everyone. Please give us a call so we can schedule a free consultation. We would love to walk you through every detail of rebuilding lost collagen and volume with Sculptra and answer any and every question you may have about its unique benefits. Contact us today to schedule a FREE Sculptra Injections consultation!